I live near Lake Erie in Cleveland, Ohio which is in northeast Ohio literally hugging the shore of the lake. Lake Erie has a long history of shipwrecks, some which have never been found. Because of these shipwrecks, many pieces of different colored beach glass wash up on the shores of Lake Erie. When I find a piece of sea tumbled beach glass, I like to think of the journey the glass had to take before it washed up on the shore. Many of the pieces of glass found on the beaches are more than 100 years old. Sometimes even extremely rare pieces of beach glass wash up like glass marbles or pieces of china that are identifiable. You never know what rare treasures you will find. Beach glass comes in an array of colors. The most common are green, brown, and clear. 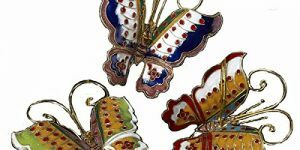 The most rare are deep red (usually from old ship lanterns), turquoise blue (from art glass and tableware), and orange. A somewhat rare color is deep cobalt blue (primarily from old pharmaceutical bottles). In Cleveland, there are several places that the tide still washes beach glass and other found objects up on shore consistently. If you know where to look, you can find some treasures. 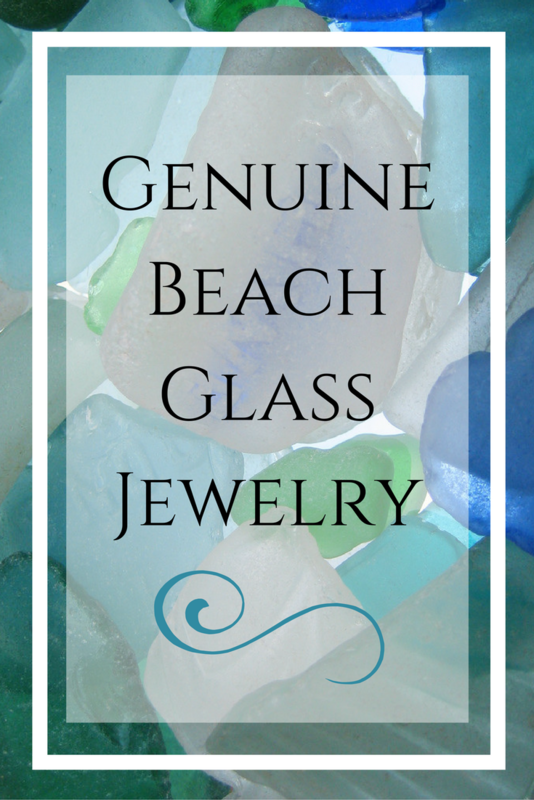 How can you tell if an item you have found in a store is from genuine beach glass? 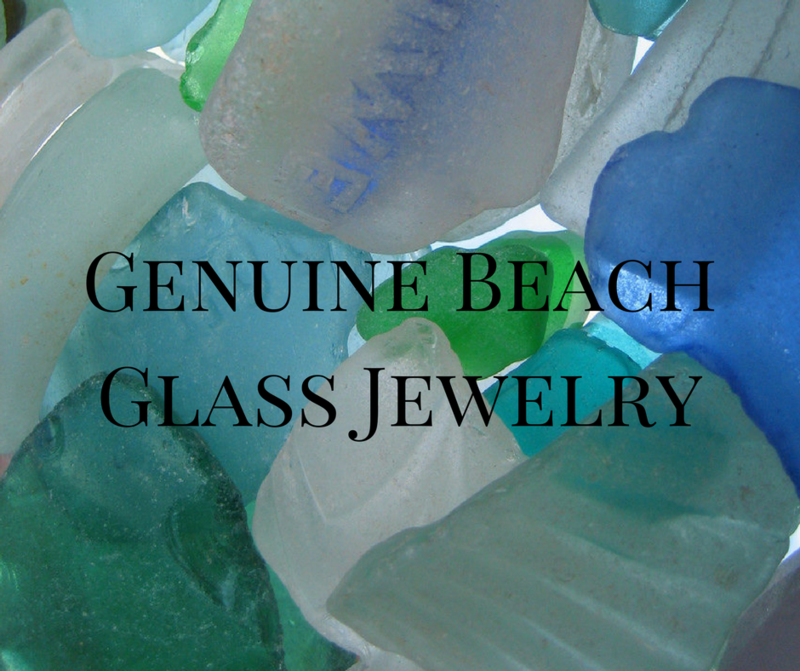 Genuine beach glass is smooth from being tumbled by the sand and water. It will have a frosted finish when it is dry, and will look translucent when wet. It can come in all sizes from the size of a grain of sand to an actual piece of a jar or plate. 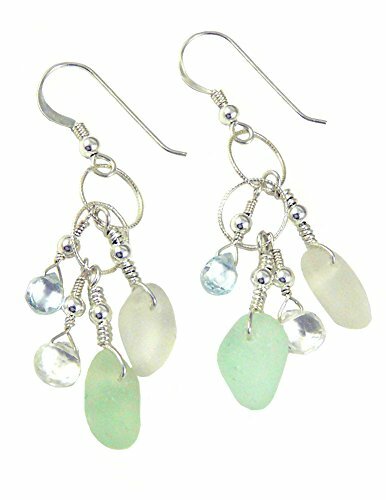 Genuine beach glass jewelry is made using genuine beach glass that is usually collected by the artist themselves. 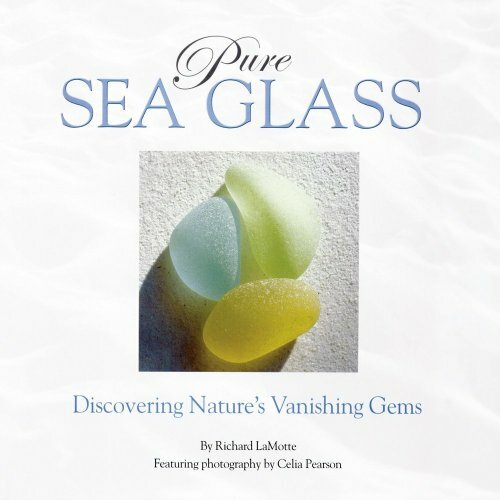 Many beach glass artists live near the beach and walk the beach daily to search for beach glass. 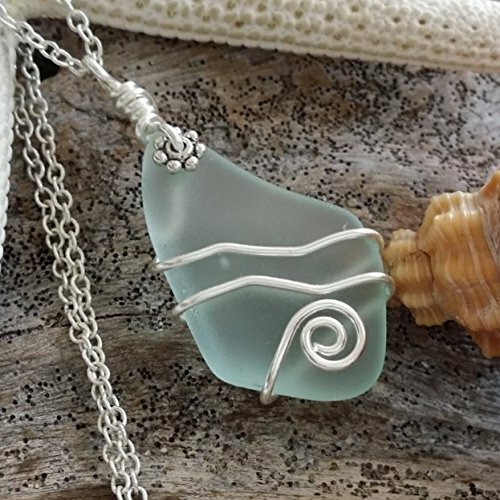 Beach glass is difficult to drill because the structure of the glass has changed from the time spent in the water and sand. Glass must be drilled very carefully under water with a diamond bit drill. Otherwise the glass will shatter. 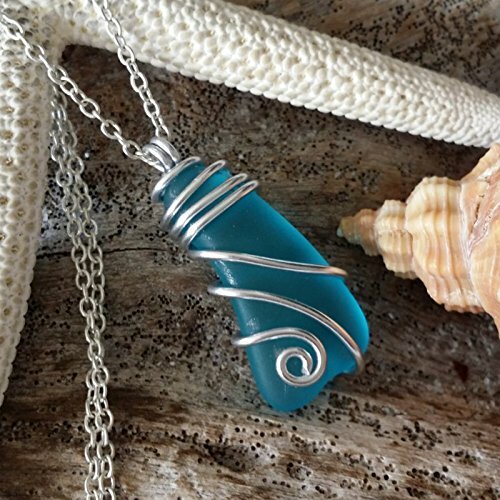 Most artists who make beach glass jewelry are history buffs, and can tell you a lot about where the glass has come from and how rare the color is. 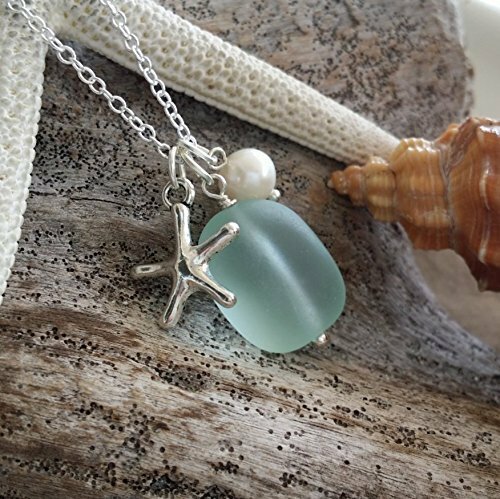 Necklaces, earrings, and bracelets are made from beach glass. 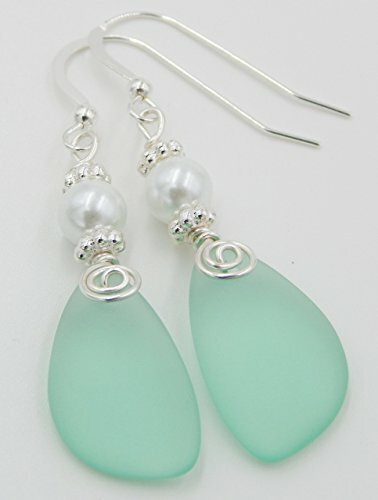 Do not expect the pieces of glass to match though, because genuine beach glass will not match. If it does, it is not genuine. 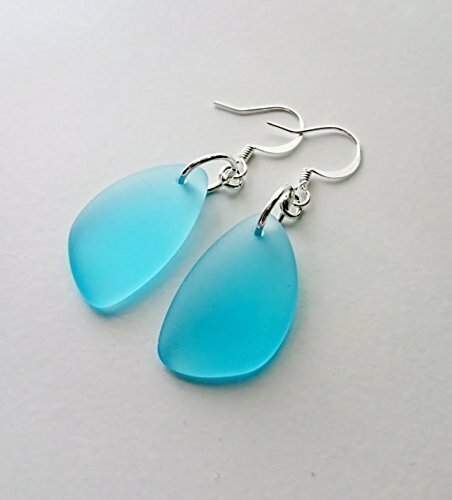 When shopping for beach glass jewelry be aware that prices of jewelry will vary according to the rarity of the found beach glass. 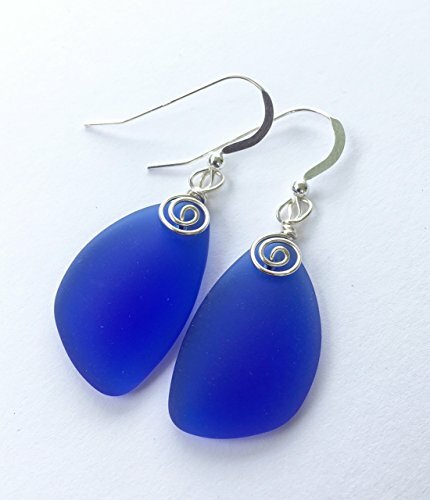 If you are buying very tiny pieces of beach glass, you shouldn’t have to pay very much, about $10 to $15. 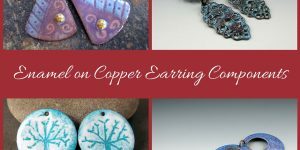 But rare colors like orange or red, or large pieces of blue or aqua can cost closer to $100 once made into a silver necklace or pair of earrings. 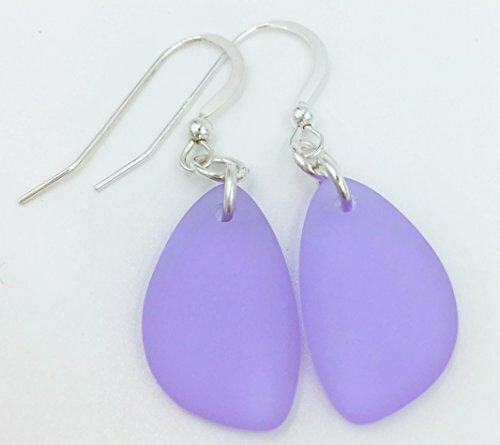 Earrings are much harder to make because finding close to matching beach glass for earrings is difficult. 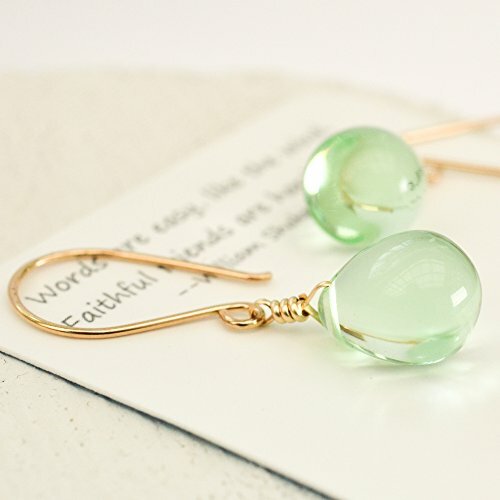 The rarer the colors of the earring glass, the more expensive they will go. 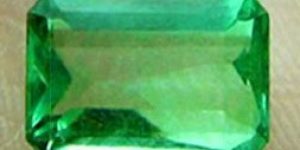 Buy from a reputable artist or dealer that is known to carry genuine beach glass. Once you buy the piece you can imagine the story of its journey from its original purpose, then how it got into the water, and lastly where it washed ashore. 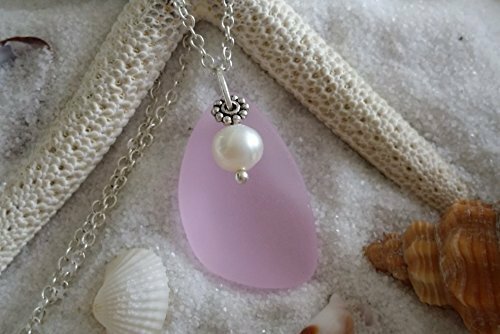 Genuine beach glass is disappearing because glass is being used less and less and the gorgeous colors from 50 to 100 years ago no longer exist. Nor do we travel by ship much anymore. So treasure your piece of history, because someday soon there will be no more beach glass to collect anymore.